AMMO LINKS ARE AT THE BOTTOM OF THIS PAGE. PLEASE SCROLL DOWN. Finally, at long last, in this category you will find 5.45x39mm ammunition for the AK-74 owner that directly relates to what was previously only available in .223/5.56mm ammunition for the AR owner. We have developed rounds in standard SS109 Match types, tracer and incendiary which now opens the military specialty ammo world to the AK-74 owner. No more plain old FMJ. Working as time allowed, the project took nearly a year but was well worth it. It has allowed us to finally be able to offer some factual answers (at least in regard to ammunition performance and power) to a question long talked over and argued about in military firearm circles for years...namely, which is better, the M-16/AR-15 in .223/5.56 NATO cal. or the AK-74 in 5.45x39mm. After pondering this same question for a long time ourselves, we believe we can finally put the matter to rest and we developed some new ammunition offerings in the process. The facts we observed are noted below. So, if you've ever thought that your AK-74 could really perform if only you could find some quality ammunition rather than corrosive surplus ammo or plain Jane, 60gr. FMJ or HP from Russia, now you can know. Deuce 45's, Inc. AK-74 ammunition origins and test results. 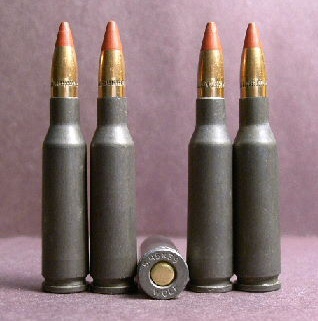 It should be noted that no brass cases exist as of yet for the 5.45x39mm round. New cases were harvested from new, non-corrosive, berdan-primed ammunition made by Tula or Wolf (basically the same thing anyway although Wolf would have everyone believe that their ammo is better even though they are made in the same factory). We found that the poly-coated cases give the best performance. 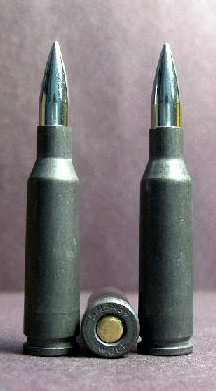 All bullets used are of U.S. manufacture with the exception of the Israeli SS109 nickel, match bullets made by IMI. 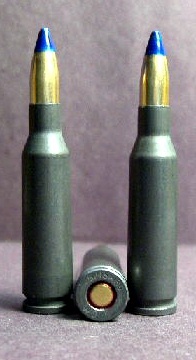 All bullets used are put through a proprietary down-sizing process to arrive at the correct bullet diameter of .221 cal. Test results with final production loads were interesting. It is interesting to note that we also compared standard NATO-spec. 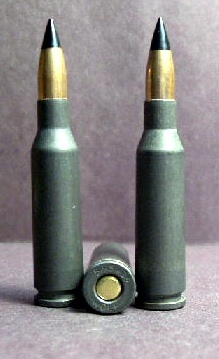 SS019 (M-855), M-856 tracer and Incendiary ammo fired through an AR-15 (C.A.R.) with a 16" barrel. Results are listed below...guess who won. The last test we did was born of a question posed by a good friend of mine who asked what would be the direct comparison between the current U.S. / NATO issue M-4 carbine and the AK-74…standard issue rifle and ammo each against the other. The results? Sell your M-4! :) Just kidding. The difference is 310 FPS. This represents a significant if not substantial performance advantage. The performance edge is clearly with the AK-74 and the 5.45x39 round especially when considering that the 5.45x39 round uses a noticeably smaller case and powder charge than the 5.56x45 and uses its smaller powder charge much more efficiently. Well, there you have it. If you have any questions or comments, please let us know by clicking on the "Contact Us" tab at the bottom of this page.